It’s time for tacos! 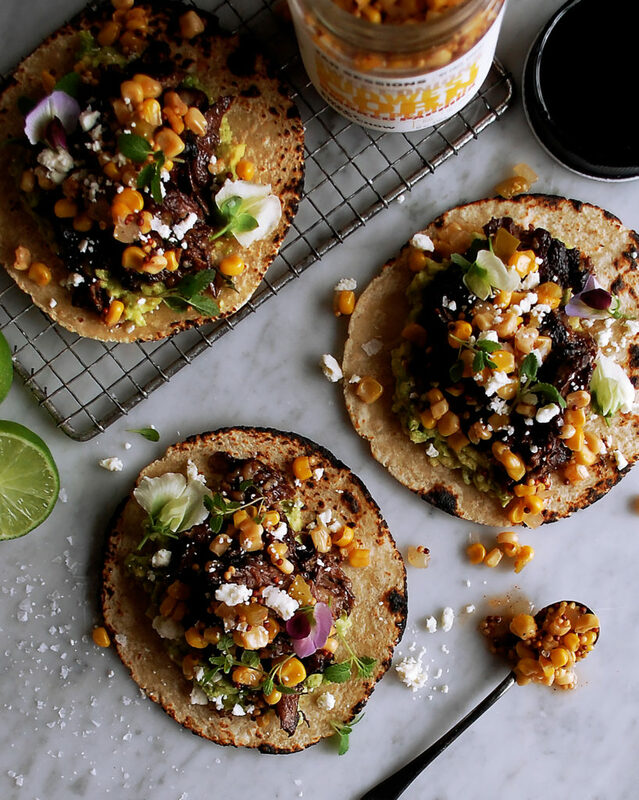 And these Short Rib Tacos with Sweet Chow Chow are just what we need! I’m writing this as I watch the replay of last night’s Olympic skating coverage! I’ve got to say, I’ve gotten a little bit behind this week because of all the Olympic watching. I just get so into it (especially the skating, of course) because of all the inspiration and incredible stories. But, it’s time we talk some food again. So tonight, I’m sharing the second recipe in the Jar Sessions recipe series! I’ve had so much fun playing around with these jars, and they are making my food so much more delicious. 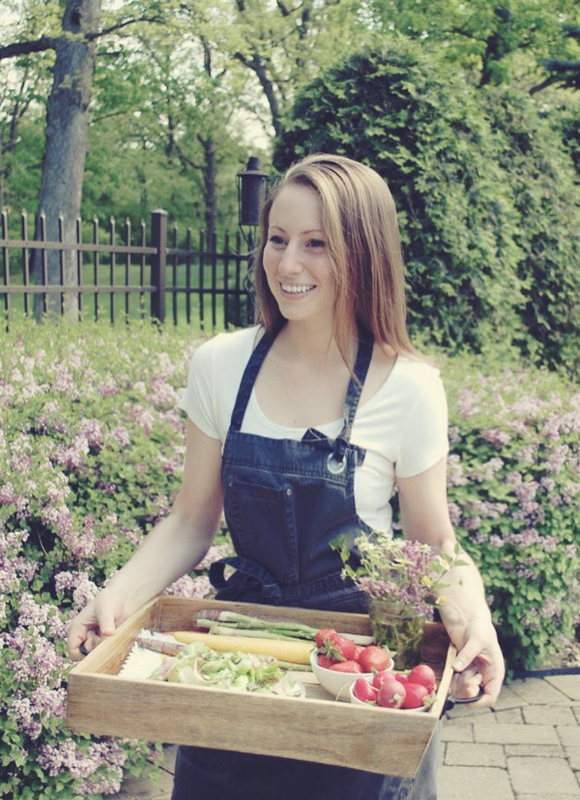 Jar Sessions is a retail line of pickles and preserves by chef Paul Virant. I used the Pickled Cherry Tomatoes in this Brussels Sprout & Soppressata Pizza, and now we are moving on to the Sweet Chow Chow. This is one of my favorite jars out of the whole line. The chow chow is so versatile. 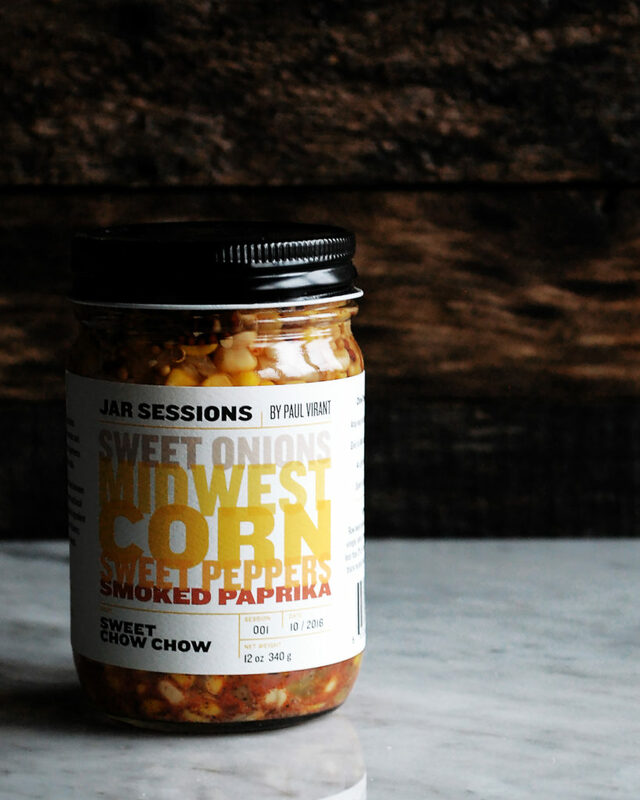 It’s basically pickled Midwest corn flavored with sweet onions, peppers, mustard seeds, and smoked paprika. The second I tried it I immediately thought tacos! To let the chow chow stand out, I kept the rest of the taco fairly simple. But of course, we need some really delicious meat. That’s where the braised short ribs come in, which absolutely just melt in your mouth. 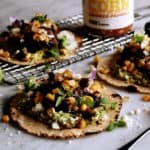 What you can do is either make the braised short ribs solely for these tacos, or you can cook the short ribs the night before for dinner (serve them with some risotto and roasted vegetables) and use the leftovers the next day for the tacos. 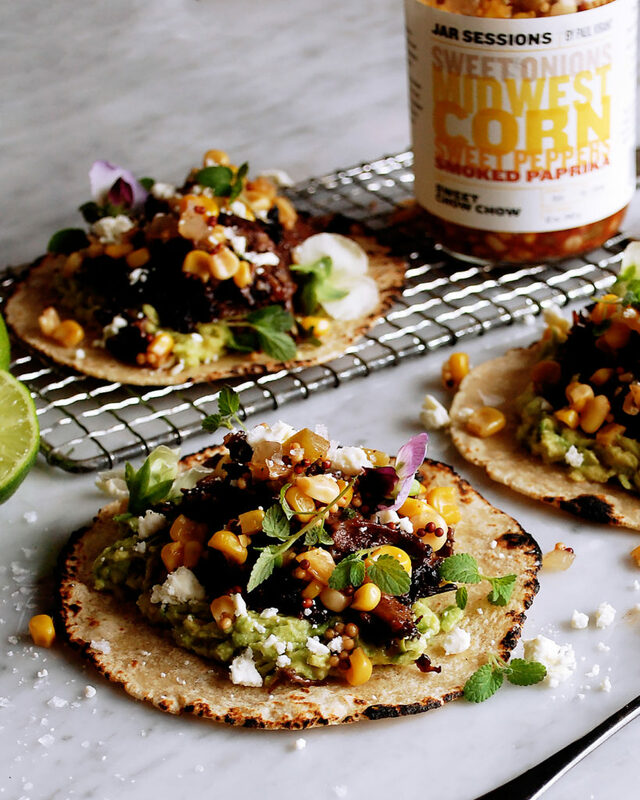 I myself love the leftover idea, especially if you aren’t feeding a crowd with the tacos! The rich short ribs plus the tangy chow chow is such an incredible combination. Preheat the oven to 350°F. Make sure the short ribs are full dry. Season the short ribs with salt and pepper on all sides. Heat the safflower oil in a large, heavy-bottom pot over medium-high heat. When the oil is hot, work in batches to sear the short ribs on all four sides until extremely caramelized (you want to hear a sizzle so the meat forms a crust). Remove the short ribs to a plate and repeat until all of them are seared. To the same pot, add the onions, carrots and celery. Cook until soft and caramelized. Add the garlic. Cook for another 2 minutes. Stir in the flour and tomato paste until well combined. Let cook for a couple of minutes. Pour in the wine and pomegranate juice. Add the short ribs back to the pot. Bring the liquid to a boil. Reduce to a simmer and cook for 20 minutes. Add the beef stock, thyme, sage, and oregano. Bring to a simmer. Cover the pot and transfer it to the oven for 2 ½ hours, or until the meat is falling off the bone. Strain the meat from the liquid and shred it into pieces. Char the tortillas over an open flame (you can place them directly on the stovetop over the flame). In a small bowl, smash the avocados. Add the juice of one lime, plus a little salt to taste. 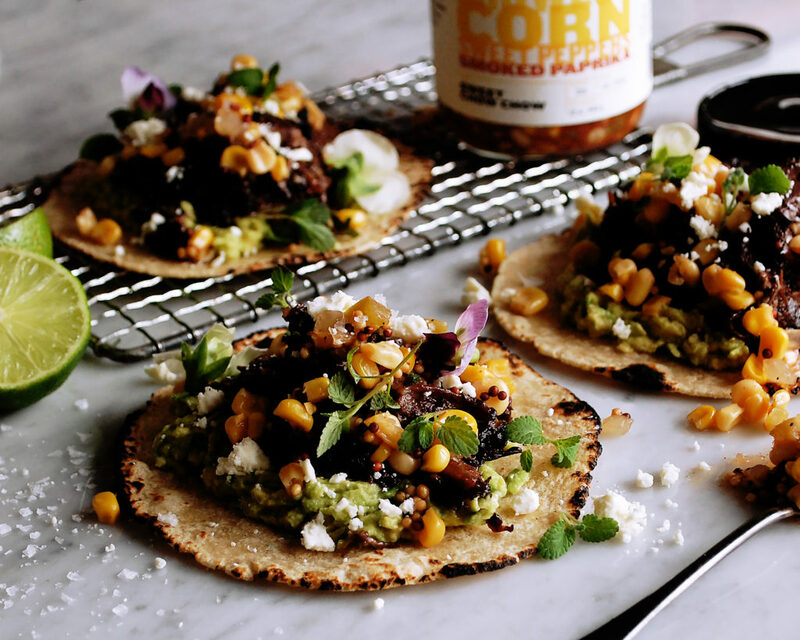 To assemble the tacos, spread some smashed avocado onto each tortilla. 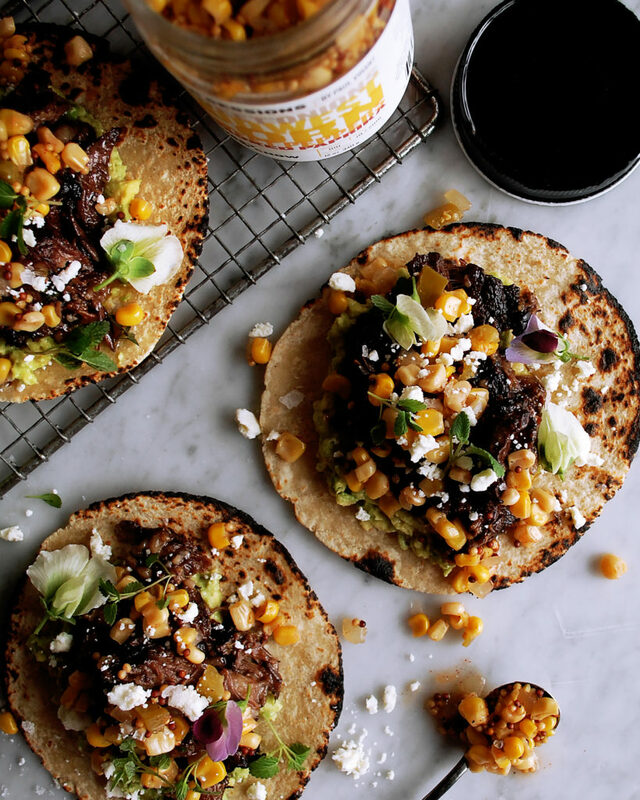 Distribute the short ribs to each tortilla. Squeeze more lime over top. Garnish with the Sweet Chow Chow, feta cheese, and cilantro.